China’s push further into communications infrastructure and energy efficiency will open huge markets for semiconductor design. I am in Shanghai and Xi’an this week for the ICCAD event and numerous customer visits, and have had the opportunity to observe and reflect upon the drivers of change within our industry. Living in the United States, and specifically Silicon Valley, has given me a front-row seat to the technology business for well over a decade. But my first visit to mainland China has shown me how parochial and biased some of my assumptions were regarding what has been driving the growth of our industry while other markets stagnate, and what are the unintended consequences andopportunities created from this growth. One of the assumptions I had was that the pace of change of the consumer electronics semiconductor market was primarily driven by places like the United States and Europe, and that this would always be the case. However, my observations here, combined with a reading of today’s domestic China Daily newspaper, cause me to question my beliefs. Upon leaving the Pudong Airport in Shanghai, nearly every Chinese person I saw was using a smartphone. And not just any smartphone—these are advanced devices that allow Chinese character input and have speech recognition. Many of these devices are made by the companies I am already familiar with, such as Samsung and Apple. But some I had never seen before, and upon asking I found out that they were either domestically produced or made specifically for the China market. Chinese government involvement in standards and investment To enable growth to keep up with China’s demand for electronics, the Chinese market is being “primed” by the Chinese government and business establishment in two major investments areas. 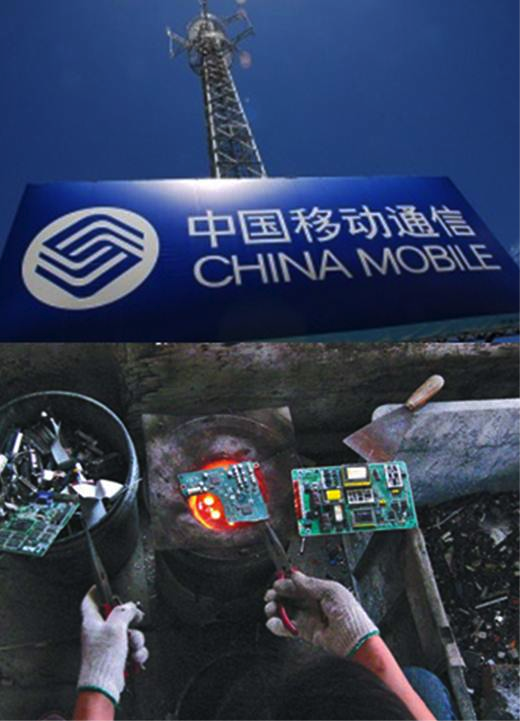 The first is domestic Chinese wireless standards and infrastructure, with China’s 3G TD-SCDMA and other standards being transitioned to China Mobile’s variation of the 4G LTE TDD standard, called “TD-LTE.” The second area of investment is mobile phone application processors and modems, with many small and midsize companies vying to produce the silicon brains for China’s mobile phones. Unlike the United States and Europe, where varying standards and technologies have been competing for decades in an uncoordinated Darwinian manner, China’s communications infrastructure and standards are “guided” by the government. It views domestic communications infrastructure as a quasi-public good, in much the same manner we would view the U.S. interstate highway system and toll expressways. Because China’s decisions are coordinated and centralized, and because they do not have a huge legacy infrastructure, China has the ability to make decisions that can push innovation further and faster than a competitive market might allow. I see the situation as being somewhat analogous to NTT DoCoMo’s role in Japan in the 1990s and early 2000s, where it became the first to offer a mobile Internet-like experience to a broad base of customers because of its control of Japan’s domestic wireless infrastructure and standards. The opportunity for the semiconductor industry is that a whole new industry for design of ICs targeted for use in China’s domestic market is being created and nurtured. Companies that have best-in-class products and services have the opportunity to be part of a huge market and enable innovation here. Unintended consequences of growth The dark side of all this growth is also on display in the China Daily, as well as the view outside my hotel room. With the growth of consumer electronics in China, there has been a huge growth in power consumption, and resulting pollution. The smog cloud covering Shanghai is evidence of this. China has been addressing this by converting coal plants to natural gas, at least in the big cities. The government also is focusing on a new opportunity: Using technology to reduce the amount of energy consumed by electronics devices that plug into the grid. This is another new opportunity for semiconductor makers. Another ill effect of growth is the pollution caused by the manufacturing and recycling of most of the world’s electronic devices. China Daily’s page 5 is dominated by a two-column article on China’s efforts to get Apple to be more open about its suppliers’ pollution. And pages 18 and 19 are a two-page spread with articles about the electronics recycling industry in China, featuring pictures of low-paid workers melting PCBs in woks to remove the precious metals. My blinders are off What is clear to me is that my views of our industry were not as true as I thought. A little travel and a lot of talking with people have shown me that our industry will be driven more and more by demands outside the traditional geographies that our marketers and technologists study to figure out what the “next big thing” will be.